Practical 5S Poster – Portrait has been added to your cart. Go to shopping cart. Reinforce the Practical 5S message to your team by posting these high quality posters in your workplace. 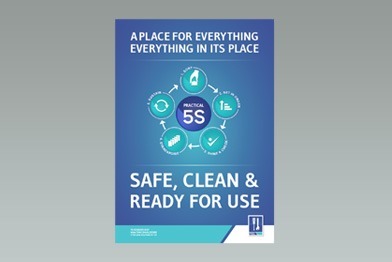 Printed in colour on high quality A2 (420mm x 594mm) paper in “portrait” format these posters reinforce the message that Practical 5s means “A Place for Everything and Everything in Its Place - Safe, Clean and Ready for Use”.